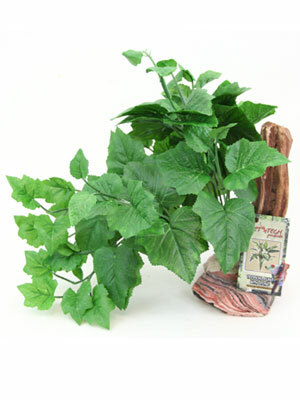 Home > STORE > PLANTS > OUT OF STOCK - TROPICAL PLANT WITH BRANCH - colors vary on leaves and base. Give your terrarium pet a secure retreat with Habi-Scape Terrarium Decor. The rock base will match Rock Bowls and Caves. The Branch gives your pet an additional climbing surface.